Most Asia-Pacific stocks posted more wide, strong gains Friday with the region getting a fresh boost from news that North Korean leader Kim Jong Un and President Donald Trump agreed to meet by May. But some of the gains cooled as the morning progressed, with traders digesting the real implications. 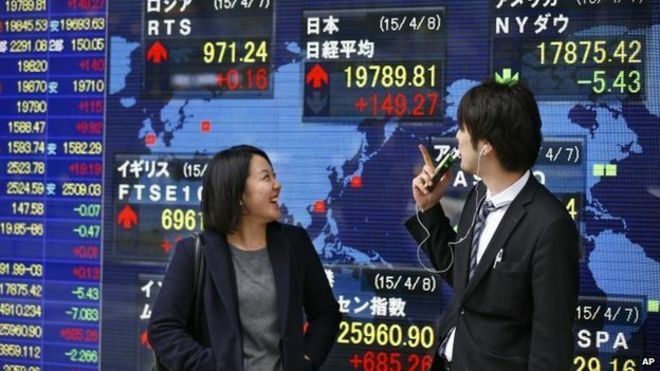 Japan’s Nikkei Stock Average NIK, +0.47% finished morning trading up 0.9% having jumped as high as 2.4% earlier. Most markets in the region were up no more than 0.5%, though South Korea’s Kospi SEU, +1.08% maintained a 1.5% gain into midday. The potential meeting, news of which came before most Asian stock markets opened for trading, followed an invitation in a letter from Kim that was delivered to the White House by South Korea’s national-security adviser. Kim also reaffirmed that he was prepared to suspend nuclear and missile tests while North Korea engages in talks on the denuclearization of the Korean Peninsula. A soft spot in both Japan and Korea was steel stocks, hit by confirmation Thursday that the U.S. will levy tariffs on steel and aluminum. Korean steel stocks fell at least 2%, led by heavyweight Posco’s 005490, -3.63% 3.5% slide. Japan’s JFE 5411, -1.49% declined 1%, putting its March decline at 9.3%. However, some analysts say the tariff announcement should have less impact than initially feared given the exemption for both Mexico and Canada from the levies. Others could also receive exemptions eventually. U.S. stocks rallied into the close as firm details were released ahead of the closing bell there, though steel companies there fell more than 2%. Still, a risk-on move dominated the early portion of Asian trading across assets Friday. That put pressure on the safe-haven Japanese yen. The currency was widely down about 0.5% against other major currencies and moved little after the Bank of Japan stood pat on policy as expected. In commodities, oil futures were up about 0.3% after fresh overnight selling. The U.S. on Wednesday released data showing average daily output last week hit another record high. Bitcoin’s price BTCUSD, -5.69% fell further Friday morning, falling just below $9,000, according to CoinDesk. The cryptocurrency started the week above $11,500. Gold and Treasurys prices eased slightly amid the gain in Asian stocks while S&P 500 futures ESH8, -0.06% shed modest gains, recently trading down a point.